Published December 15, 2013 at 958 × 1149 in PORTFOLIO. Happy Birthday. 2013. 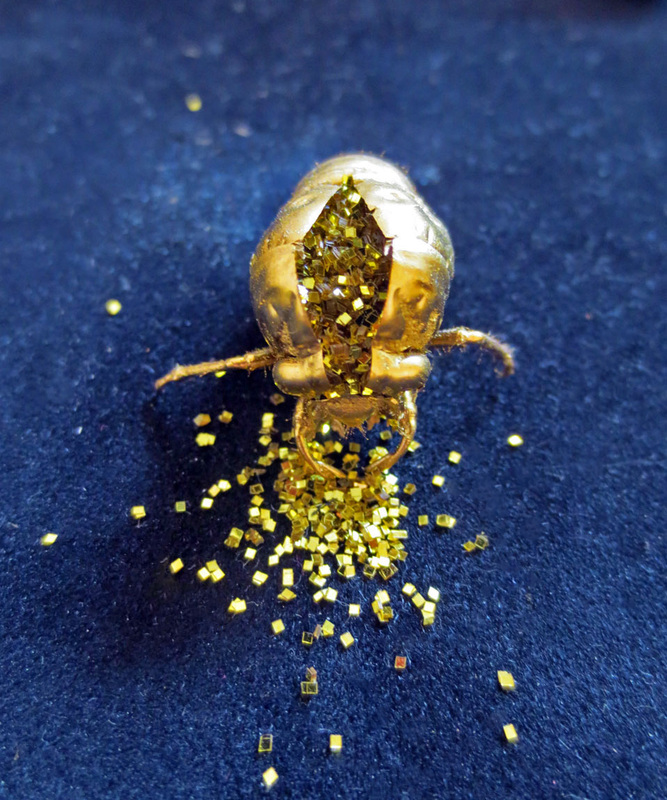 Cicada exuvia, gold paint, glitter, jewelry box. 3 x 3 x 4 in (with box).